You have searched and searched and finally found that perfect home to purchase... what is the next step? As soon as you have a property under contract the next important step in the home buying process is conducting an inspection of the property. A home inspection is a valuable tool in evaluating the condition, soundness and safety of the property. The resulting report is a fantastic source of information about the home you are buying, and can highlight items that need to be addressed prior to purchase. A home inspection should be conducted by a professional, licensed, experienced and highly recommended home inspection contractor. As in every industry, there are good and bad home inspectors. Ask for recommendations from your real estate agent - they have worked with many inspectors and have valuable insights to help with the selection process. Your agent will know which inspectors will provide the best and most useful information and provide excellent customer service, all for a reasonable price. You can also ask trusted family and friends for inspector recommendations. Once a professional is selected, your agent will schedule the inspection, coordinating with the listing agent and home seller. 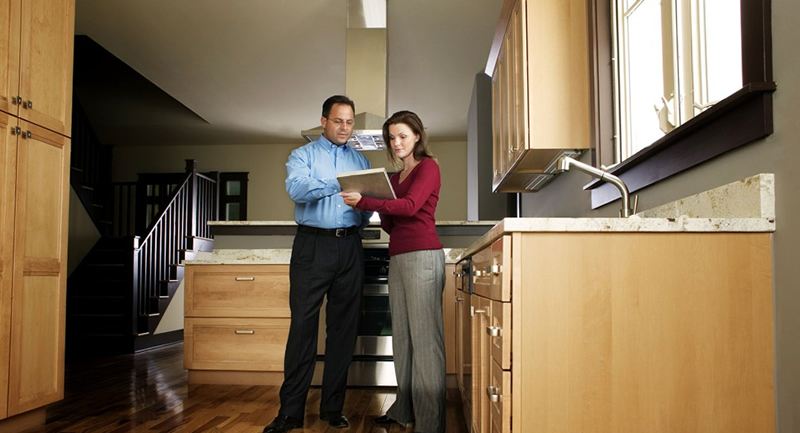 A home inspection is usually paid for by the buyer. On the day of the inspection, the buyer (along with the buyer's agent) is invited to walk through the property with the inspector so they can verbally discuss and visually point out any findings . The inspector will also provide a written report for the buyer and agent to review, documenting all the things they observed while evaluating the property.